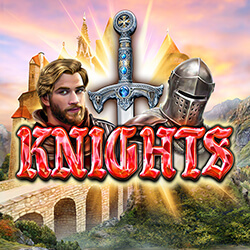 Knights is the latest online slot from Red Rake gaming that features a unique setup involving a 6th reel, along with high quality graphics and a number of other bonuses. During most gameplay in Knights, the slot is set up in a conventional way, with 5 reels and 5 lions being available, although a 6th magic reel can be unlocked. 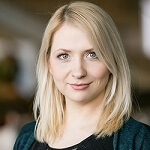 The player also has access to 6 symbol wins, wilds that comes with multipliers, scatters, and free spins. In order to unlock the magic reel, the player will have to put down an additional wager, which will allow for higher rewards, and more winning combinations across the reels. Merlin is the wild in the game, and acts as the substitute for all other symbols, but also comes with its won multiplier, which is 2x, and is applied to any wins that are made during that specific spin. The scatters come in the form of horses, and they can be used to trigger up to a total of 40 free spins, although the player will first need to land three or more of theses scatters anywhere on the reels. One triggered, the bonus can be triggered again with as little as two horse symbols, although getting up to 6 on the reels is the only way to gain access to the 40 spins. During the free spins bonus, all Knight symbols will be automatically transformed into additional wilds, each with multipliers added on for additional wins.